The Turku barracks, intended for the use of the Russian army, were erected in 1833 at the corner of the Turku road. As was the custom in Russian garrison towns, rows of trees were planted alongside the barracks. Over time the row was thinned out, and by the turn of the 20th century there was only one tree left. 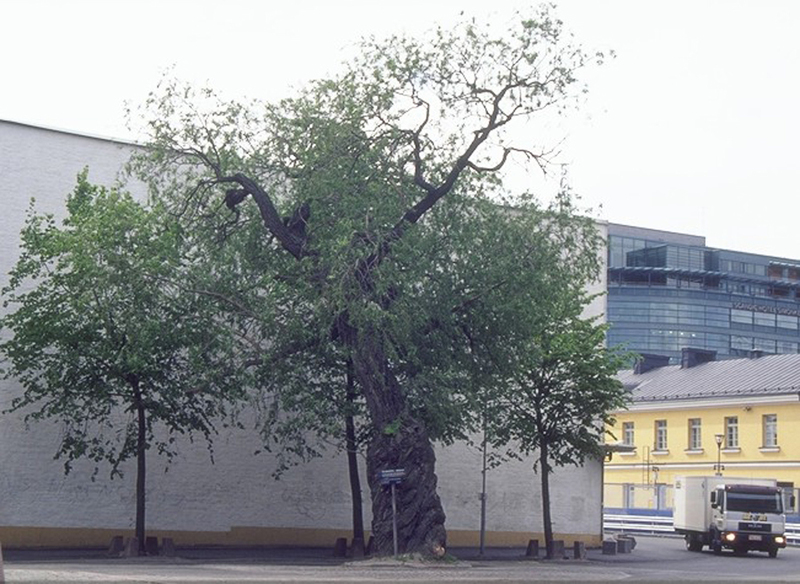 The barracks were destroyed in the 1918 occupation of Helsinki, but the elderly tree was retired as a natural memorial in 1924. 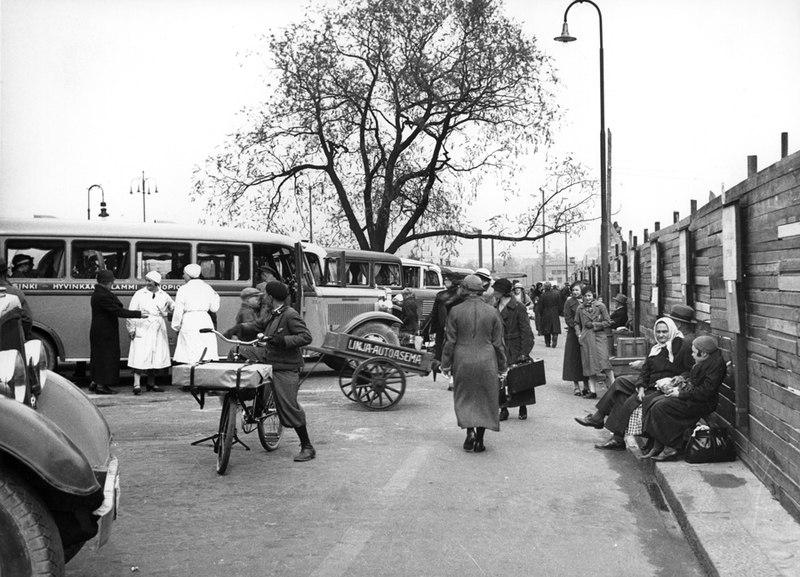 The Lasipalatsi, designed in the Functionalist style, was built on the site of the ruins of the barracks in 1935. Next to it, in the midst of the buzz of the city, the ancient willow stood stubbornly, its inside already rotted away and its crown sparse, until a winter storm toppled it on 29 December 2003. Willow species and hybrids are difficult to identify. The Lasipalatsi willow has been named 'Lasipalatsi' with the Finnish name isoriippasalava. This willow, which was probably brought over from Russia, is distinct from similar willows planted later in Helsinki, and it may be unique. Cuttings were taken from it when it was still alive, and after it was felled many people took twigs to root them at home. Some of the cuttings are being raised in the nursery, so a new tree can be planted in Paasikivenaukio to continue the tradition.